Audio files from the Connections Conference. Pennine Megagames’ own Paul Howarth amusing talk on games in schools- hearing how the games cut through gender and social boundaries and gets children enthused is really great. I was surprised at the lack of military knowledge that was alluded to of the students on the course but given that we are a maritime nation dependent on sea trade and our Navy it is something that takes a very low profile in our modern world. Finally Paul Strong’s talk on the Western Approaches Tactical Unit gives a great insight into how wargaming helped to win the Battle of the Atlantic, including a rare example of wargaming being conducted mid- battle and influencing its outcome. I’d have loved to attended- and played in the megagame as well as the other games sessions but I was on a bit of a road trip with my father (a post on that will be forthcoming) so missed it, will look into attending next year. 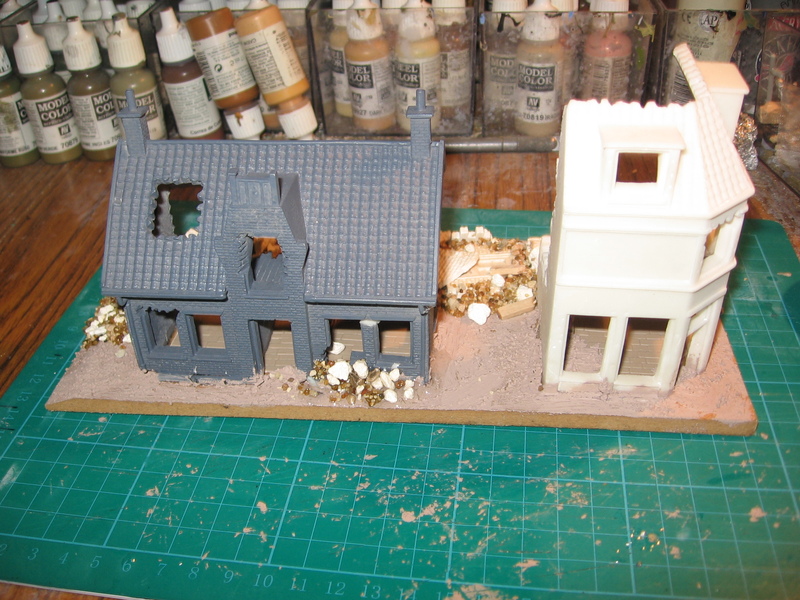 Works in Progress from the Shed: Buildings, Ships and Conversions. 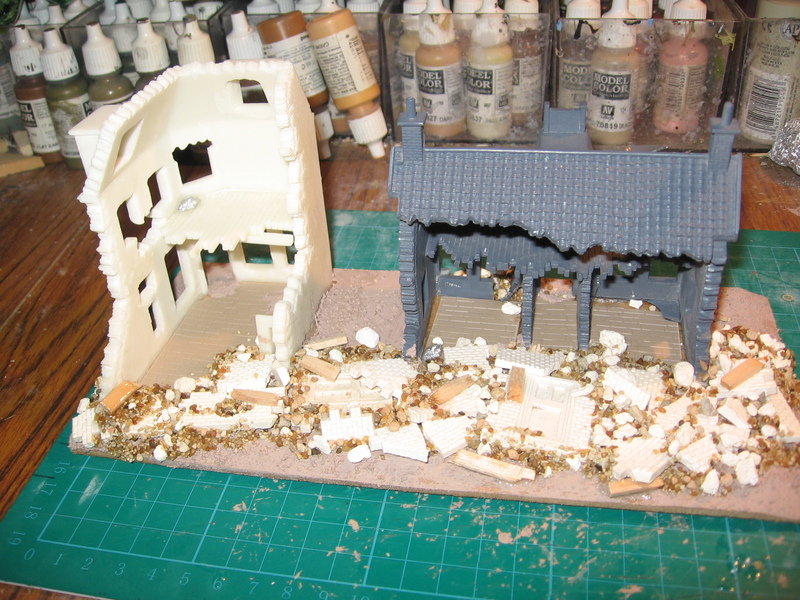 An Airfix resin building based up. 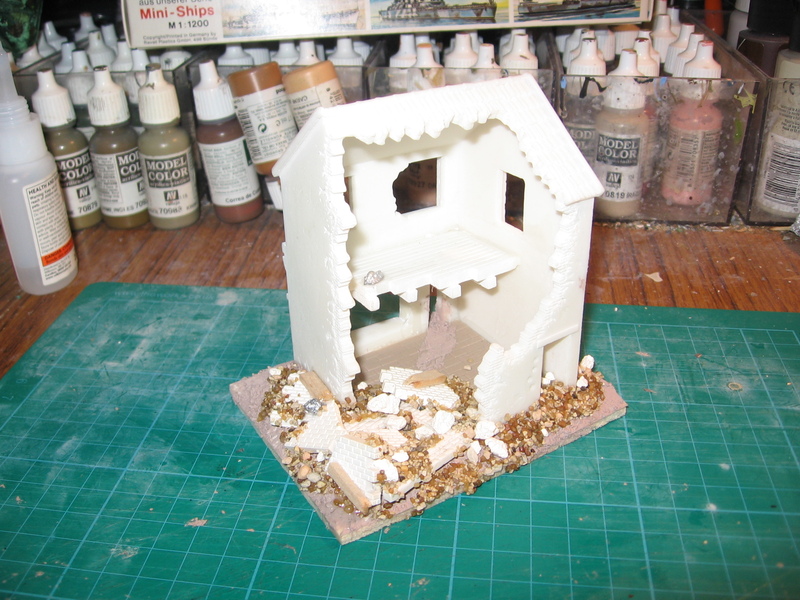 Back view of the same, the extra rubble was made up of budgie grit, cat litter (clean of course) and Linka casting in plaster. A pair of Dutch styled buildings based together. Back view: I’ve tried to find a compromise between putting on a realistic amount of rubble and keeping areas clear for game-ability. Given that I got all three building at 50% of RRP I’m quite pleased with them. 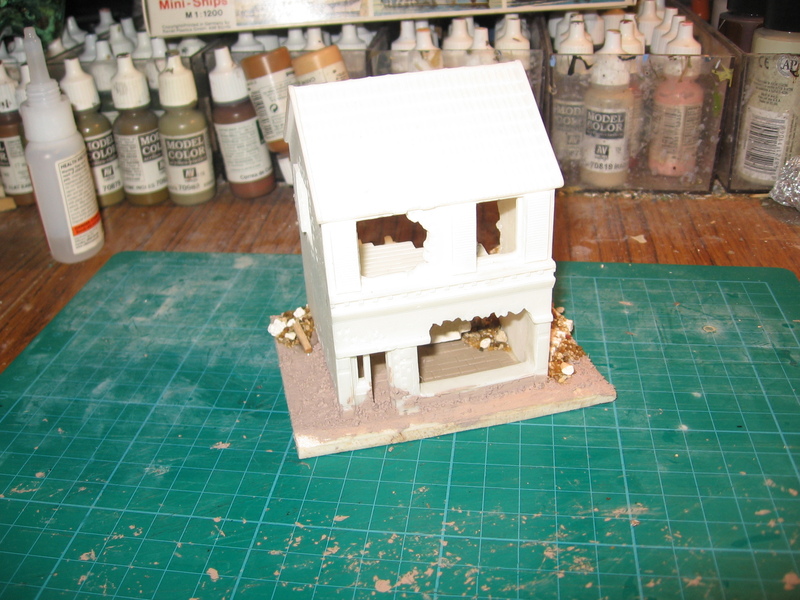 They paint up well and I don’t think you can have too many building in an Urban Skirmish set up. 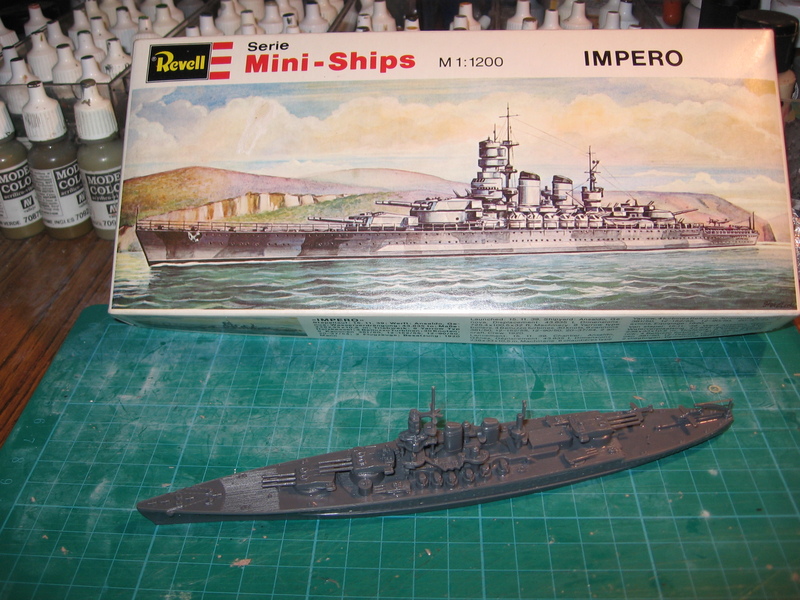 The Italian Impero, a Littorio class Battleship (never completed in WW2 though). 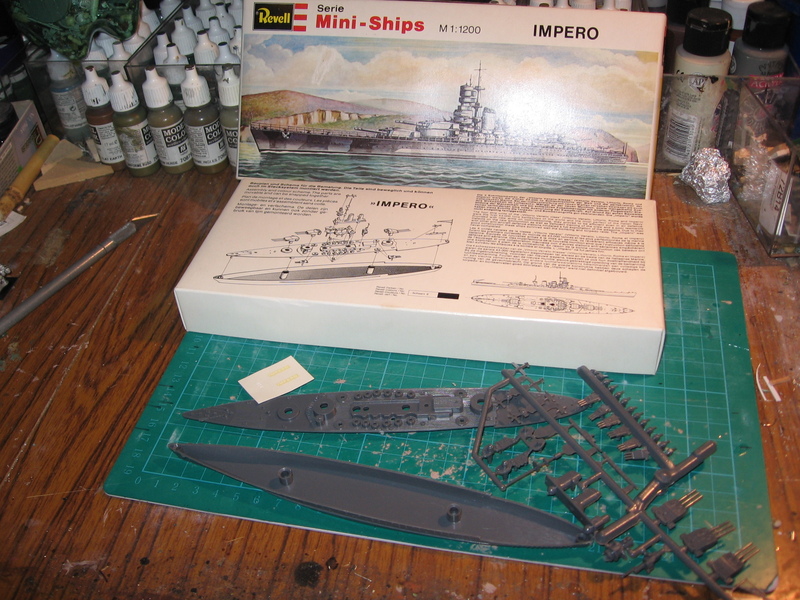 1/200th kit by Revell. 45 minutes later I had finished it. I find ship kits to be quite enjoyable to build. I’m slowly working through my ship collection, I’m aiming to use them for both Fletcher- Pratt style games as well as Air to Surafce attack games with 1/600th planes. 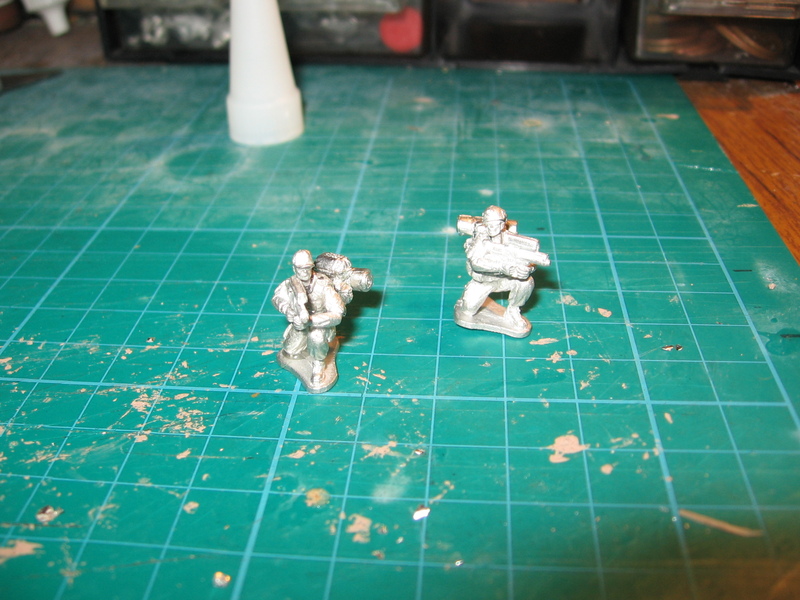 I decided to try my hand at a quick conversion: I wanted to make some US SOF figures with the short lived XM25 grenade launcher (see the wiki page for a quick overview of its developmental history: http://en.wikipedia.org/wiki/XM25_CDTE ). 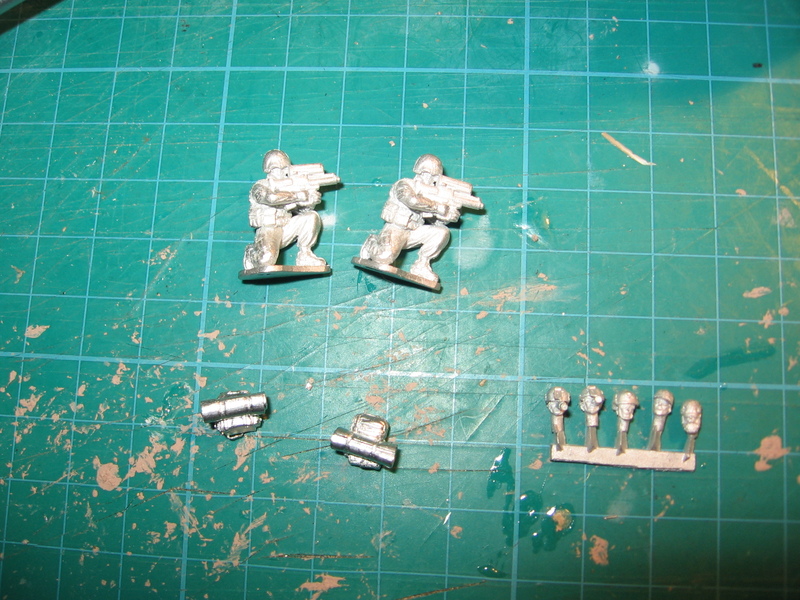 To try and keep some sort of continuity I used parts from the same sculptor but 3 different companies: Figures by Under Fire Miniatures, heads by Vepa Miniatures and the backpacks were left overs I had from the TDQ/ CP Miniatures Falklands range. Tools of the trade, pretty simple really IO don’t know why I put off trying it before for so long. The end result: pretty pleased with it for a first try. 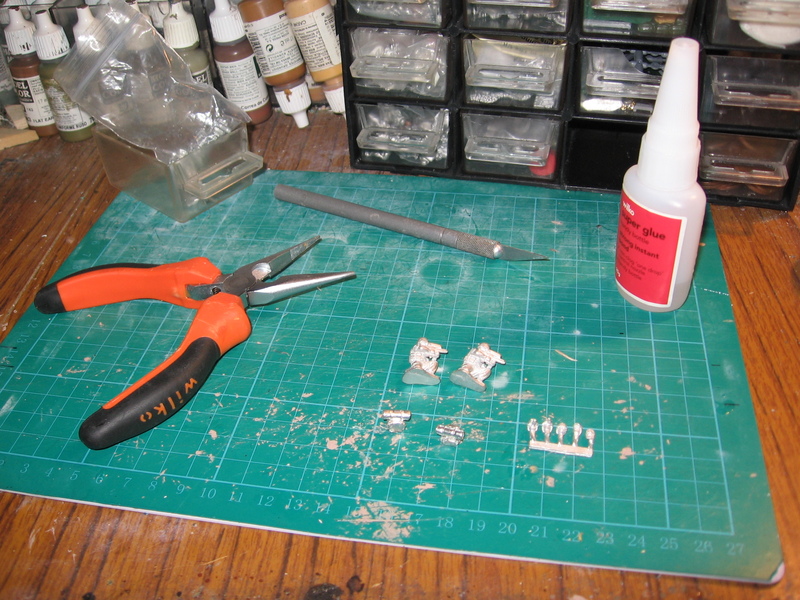 One figure will be painted in Multi- Cam the other in the slightly older ACU scheme.